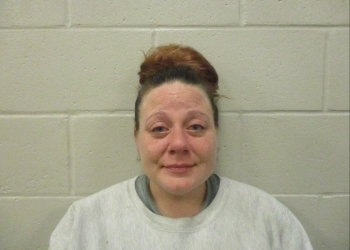 A family domestic dispute earlier this week led to the arrest of a Bartlesville woman. Sarah Van Horn appeared at the Washington County Courthouse facing a misdemeanor charge of domestic abuse. According to an affidavit, the female victim stated she was leaving the house for a little while. Van Horn became enraged because she believed that the victim was going to look after her children in the house. A minor child in the residence then witnessed Van Horn and the victim screaming at each other. Van Horn allegedly punched the victim several times as well as pushing her away. At one point Van Horn bit the victim’s left hand during the altercation. Officers noted a bite mark as well as multiple open wounds on her face as a result of the punches. Bond for Van Horn was set at $3,000 with a condition of no contact with the alleged victim. An active protective order has been granted for the victim in this case.